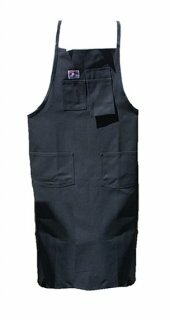 Popular for over 70 years, not only with printers but with anyone requiring lots of pockets or working in a position where clothing needs protection, this heavyweight apron is a must-have. It is reinforced with stitching for strength and long wear, and has shoulder straps and waist straps for a secure and comfortable fit. This apron offers chest and hip pockets for pens, papers, and more.